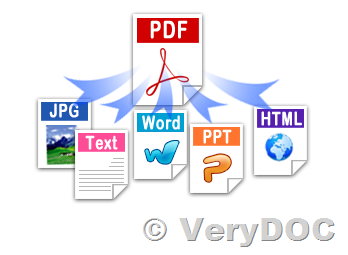 We use pdf2pdfa.exe to convert normal pdf:s to PDF/A but some pdf-files won't convert correctly. They seem to be corrupt after conversion. Maybe we can send you a PDF-example so you can determine what's wrong with the file? Then we can point this out to Devexpress. We use this line for i.e.. (I can send license in an e-mail). We hope "-repair2" option will solve this problem to you. 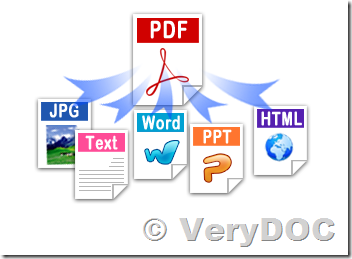 PDF/A is a version of Portable Document Format designed for archiving and preservation. Due to its popularity, many electronic documents exist in PDF format, and the ability to convert an existing PDF into a conforming PDF/A file is as important, if not more, as being able to produce documents in PDF/A format. The Florida Digital Archive conducted a study to select a PDF to PDF/A conversion application as part of its format normalization strategy in the summer of 2012. This article documents the evaluation process and presents the results in such a way that they provide insight into challenges and potential drawbacks during similar evaluation or implementation. The main difference between PDF and PDF/A is that the latter has specific requirements that the regular PDF format does not. The reason why PDF/A enforces these requirements is to make sure that whatever software is used in the distant future will be able to support the file and display all its contents properly. PDF/A-1a (accessible): This conformance level has strict requirements; your document must contain tagging, document structure (hierarchy), language specification, and Unicode mappings. This level is accessible for visually impaired users. PDF/A-1b (basic): This conformance level has minimum requirements. It does not require tagging, hierarchy, etc. It can be created from a scanned document instead of an existing digital file. When archiving a PDF file, you want to ensure the file is lightweight and follows all the PDF/A conformance rules, otherwise it may not be accessible to future users due to the compliance being broken. I need to convert a sheet of a multi sheet Excel to CSV using command line. how do I do it? I would like to see a list of all available parameters for the convert. e.g. how i pass the password when the Excel file is password protected? 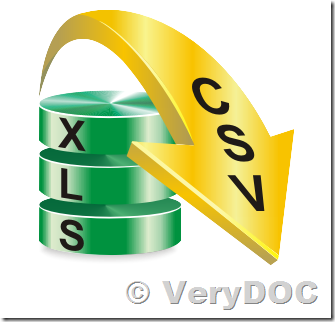 Comma-separated values (CSV) is a widely used file format that stores tabular data (numbers and text) as plain text. Its popularity and viability are due to the fact that a great deal of programs and applications support csv files, at least as an alternative import / export format. Moreover, the csv format allows users to glance at the file and immediately diagnose the problems with data, if any, change the CSV delimiter, quoting rules, etc. All this is possible because a CSV file is plain text and an average user or even a novice can easily understand it without any learning curve. I wanted to get a progress of converting pdf. So, I purchased the "DOC to Any Converter Command Line" this week. But, I don't know how I can get the progress. Let me know how I can. doc2any.exe -useoffice 1 -useprinter -showofficeui "C:\in.doc" "C:\out.pdf"
doc2any.exe -useprinter -useoffice 1 -showofficeui -delay 10000 -resetofficeview -debug "C:\in.doc" "C:\out.pdf"
doc2any.exe -useoffice 1 -useprinter -delay 5000 "C:\in.doc" "C:\out.pdf"
for %F in (D:\test\*.doc) do "doc2any.exe" "%F" "%~dpnF.pdf"
for /r D:\test %F in (*.doc) do "doc2any.exe" "%F" "%~dpnF.pdf"
doc2any.exe -width 800 "C:\test.doc" "C:\test.jpg"
doc2any.exe -height 800 "C:\test.doc" "C:\test.jpg"
doc2any.exe -swfopt "-j 100" "C:\test.ppt" "C:\slide%.swf"
doc2any.exe -useoffice 1 "C:\test.docx" "C:\test.htm"
doc2any.exe -useprinter -pagerange "2-3" "C:\test.docx" "C:\test.htm"
doc2any.exe -useprinter -pagerange "2,4-6,8-" "C:\test.docx" "C:\test.htm"
If you encounter any problem with doc2any.exe, please feel free to let us know, we will assist you asap. 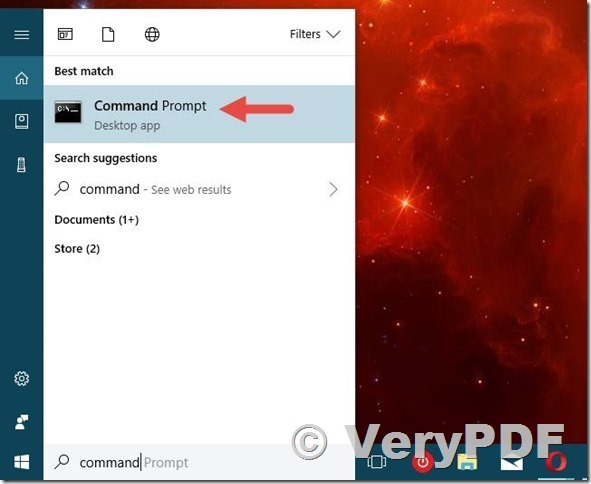 In Windows 10, one of the fastest ways to launch Command Prompt is to use search. 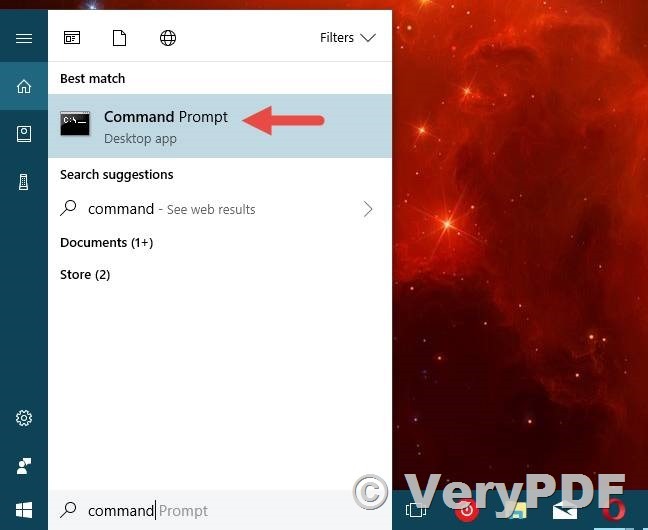 Inside the search field from your taskbar, enter command or cmd. Then, click or tap on the Command Prompt result. 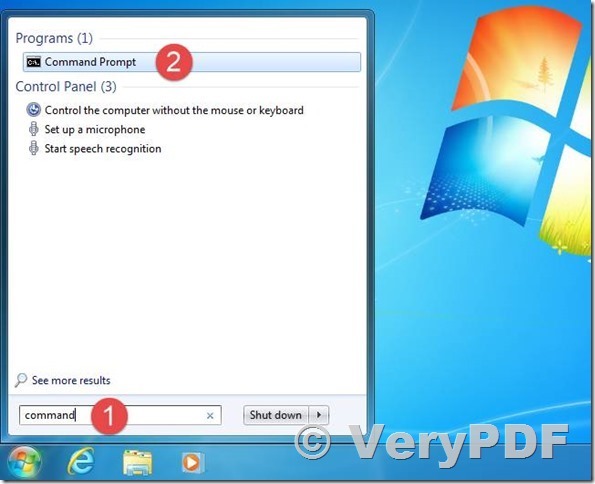 Search is also very helpful in Windows 7. In this operating system, open the Start Menu, type command or cmd in the search field, and then press Enter or click on the Command Prompt shortcut. 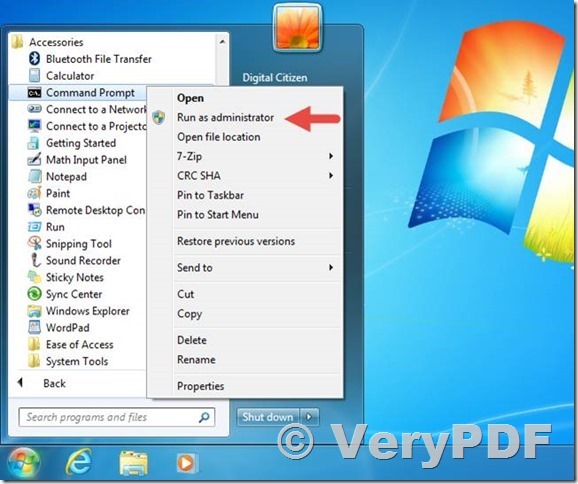 To run Command Prompt as administrator, right-click on it and then click on the “Run as administrator” option from the contextual menu. 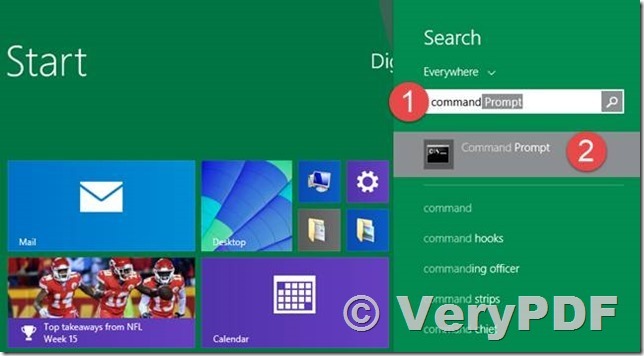 In Windows 8.1, switch to the Start screen and start typing command or cmd. 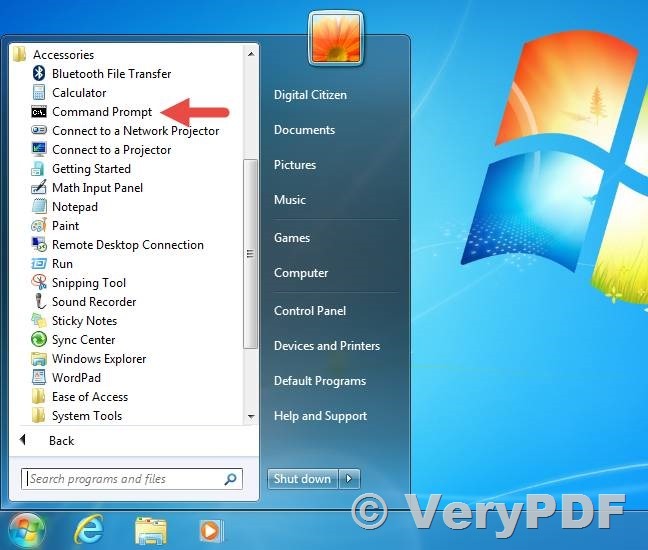 Then, once the search results are displayed, press Enter on your keyboard or click/tap on the Command Prompt shortcut. 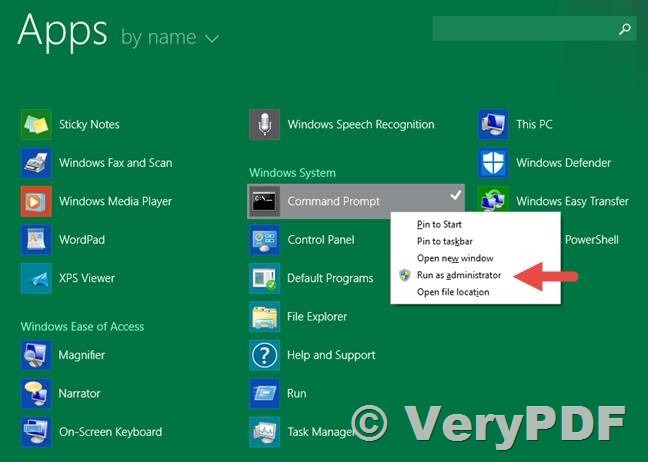 To run Command Prompt as administrator, right-click on its shortcut and then click/tap on “Run as administrator”. 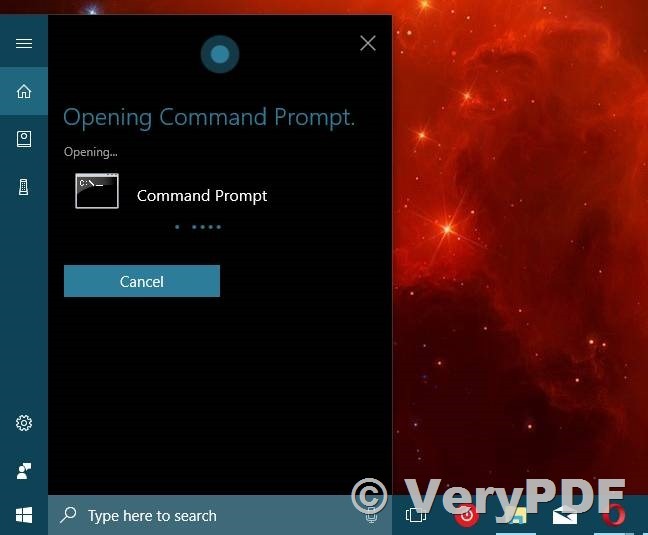 In just a moment, Cortana understands what you want and immediately launches the Command Prompt. 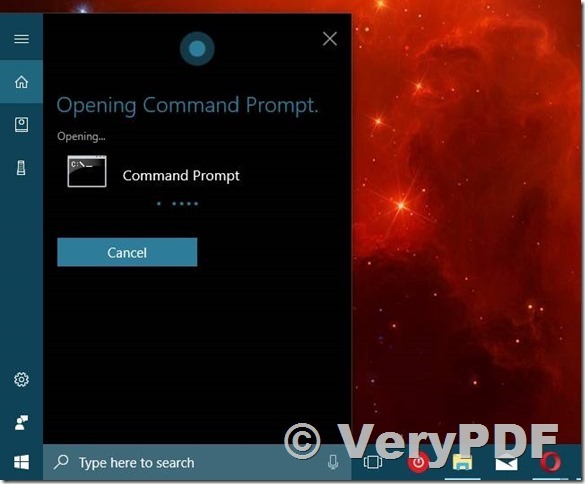 Unfortunately, there is no command you could use to ask Cortana to launch Command Prompt as administrator. 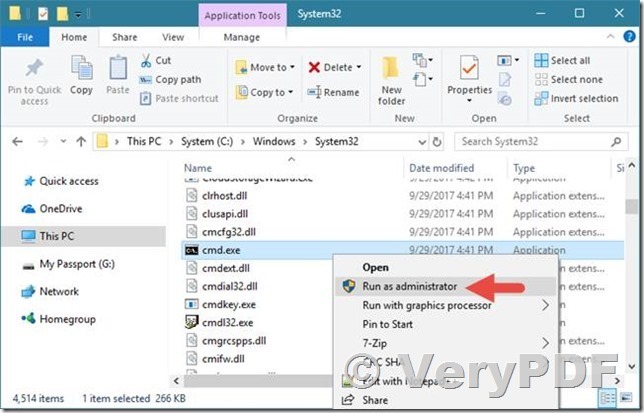 One of the quickest ways to launch the Command Prompt, in any modern version of Windows, is to use the Run window. A fast way to launch this window is to press the Win + R keys on your keyboard. 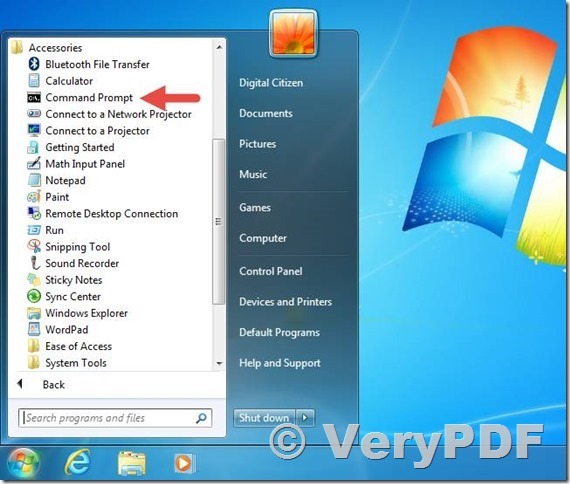 Then, type cmd or cmd.exe and press Enter or click/tap OK. 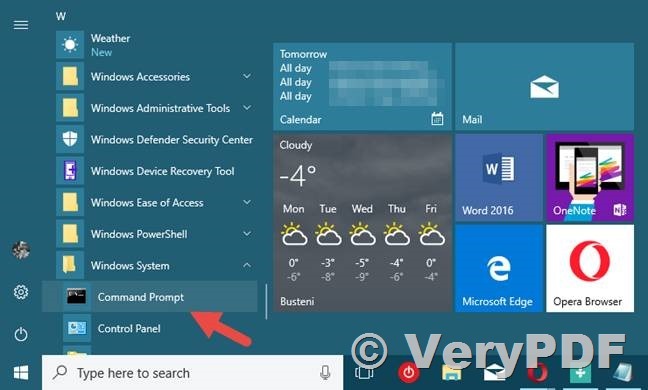 In Windows 10, open the Start Menu and go to the Windows System shortcuts folder. There, you can find a shortcut for Command Prompt. 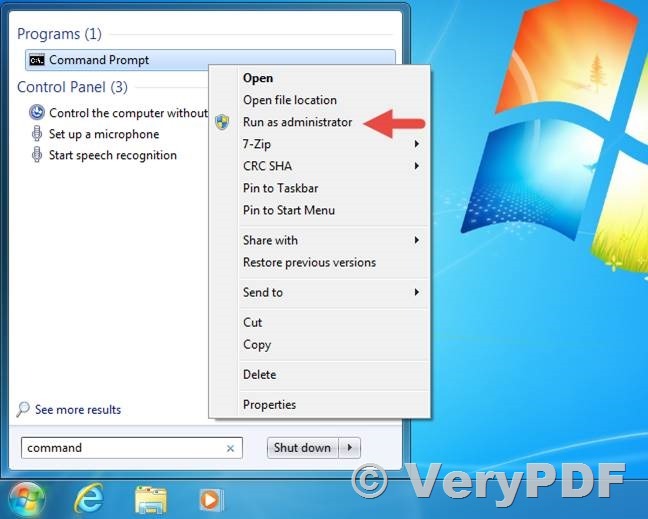 If you are using Windows 7, open the Start Menu and go to All Programs. Then, open Accessories and click the Command Prompt shortcut. 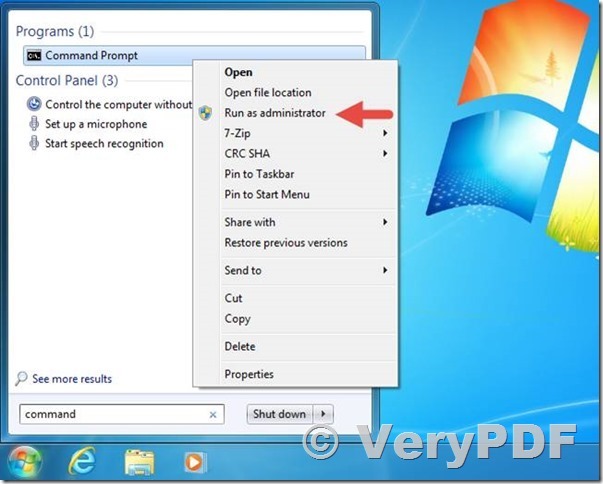 To run it as administrator, right-click on its shortcut and then click the “Run as administrator” option. In Windows 8.1, go to the Start screen. 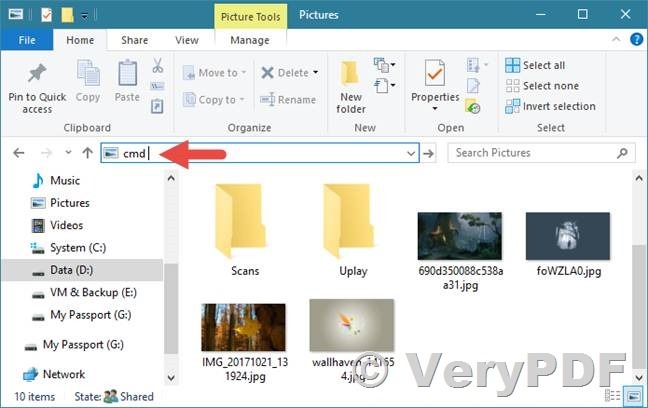 Click or tap on All apps and scroll right, until you find the Windows System folder. There, click or tap the Command Prompt shortcut. If you want to run Command Prompt with administrative privileges, right-click (or tap and hold on it) and then click/tap on the “Run as administrator” option. 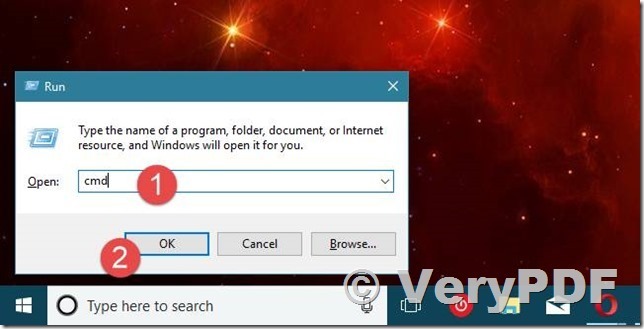 Read the second page of this article to learn more ways of opening the Command Prompt in any modern version of Windows. 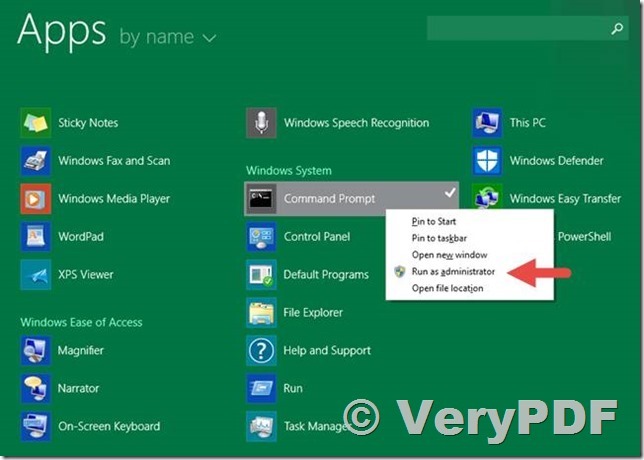 If you prefer using your own shortcuts, then do not hesitate to create a shortcut to the Command Prompt. 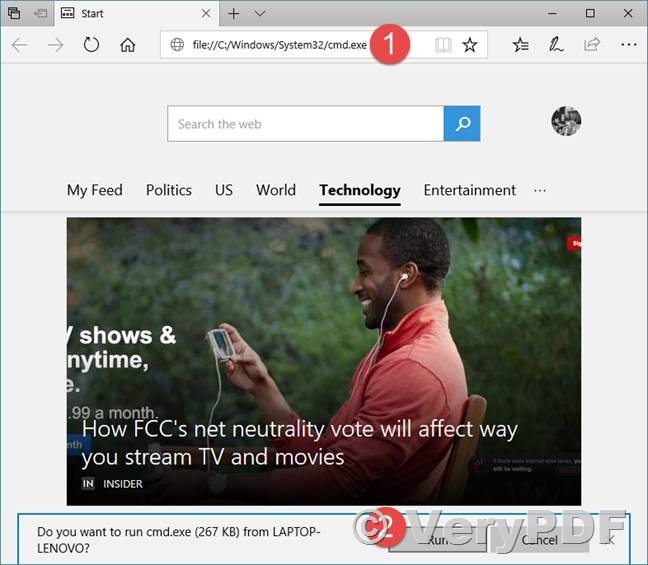 Alternatively, you can download our collection of shortcuts and use what we have created: Download the biggest library of Windows shortcuts. In this pack, there are also plenty other useful shortcuts to download and use. 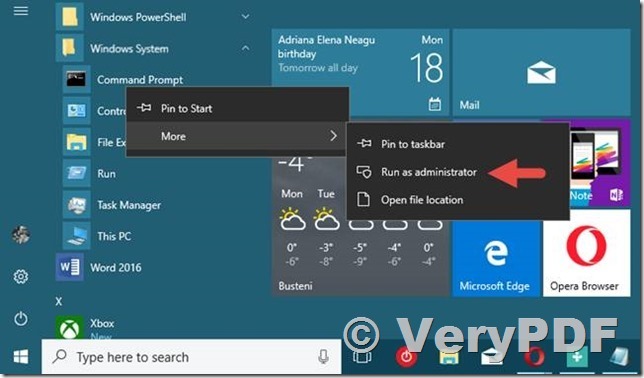 If you want to run the shortcut as administrator, right-click (or tap and hold on it, if you use a touchscreen), and then click or tap on the “Run as administrator” option from the contextual menu. 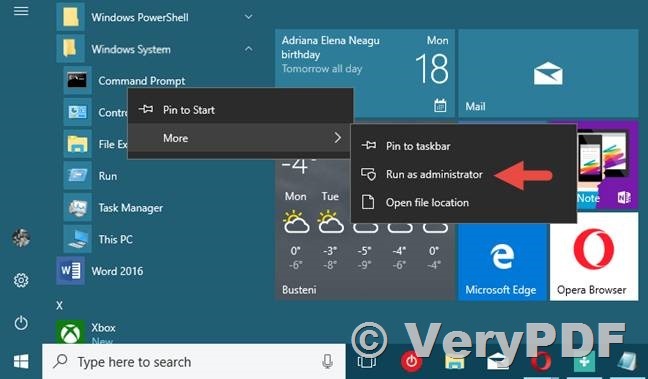 If you would rather have a clean desktop, you might prefer to pin the Command Prompt to the taskbar, the Start Menu (in Windows 10 & Windows 7) or the Start Screen (in Windows 8.1). Also, if you want to run Command Prompt as administrator, use the right-click menu on the shortcut pinned on your Start Menu, Start Screen or taskbar, and click/tap the “Run as administrator” option from it. 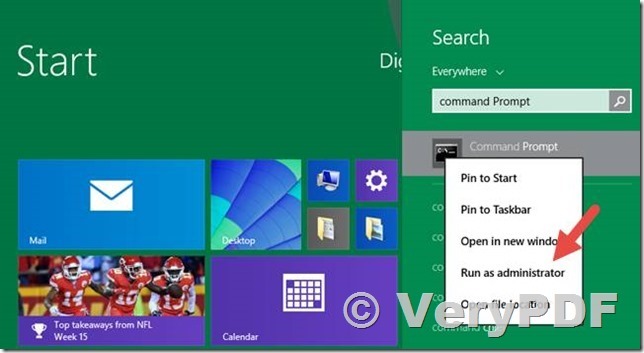 Windows 10 and Windows 8.1 include a hidden menu for power users which you can access from the desktop. The quickest way to launch it is to press the Win + X keys on your keyboard, but you can also do it with right-click (or tap and hold) on Windows logo from the bottom-left corner of your desktop. 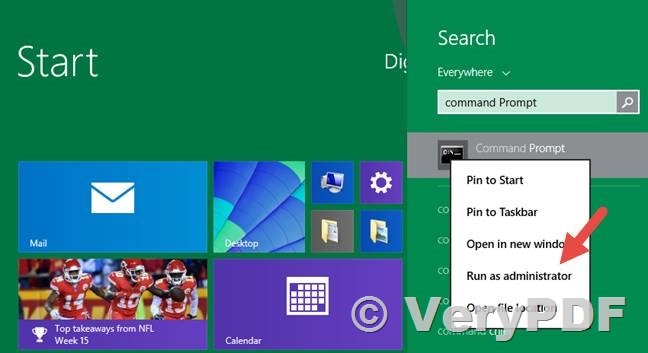 In Windows 8.1 and early versions of Windows 10, this menu includes two shortcuts for the Command Prompt, one to run it as a normal user and one to run it as an administrator. 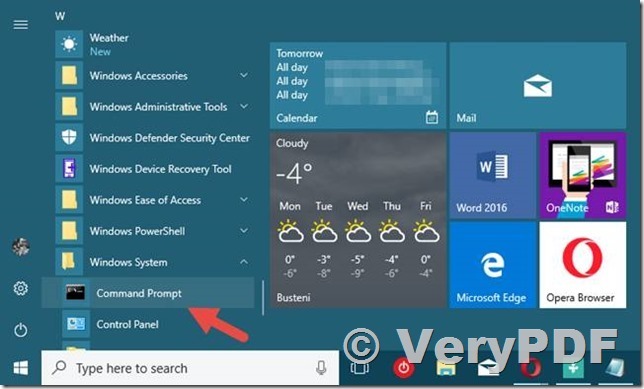 After the Creators Update was released, Windows 10 replaced the Command Prompt shortcuts with Powershell shortcuts. 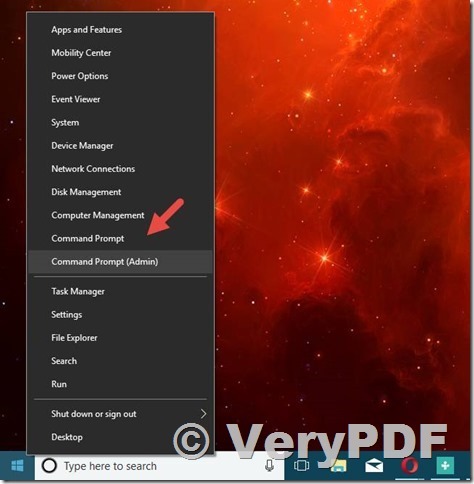 However, you can configure Windows 10 to go back to showing Command Prompt shortcuts in its power user menu. 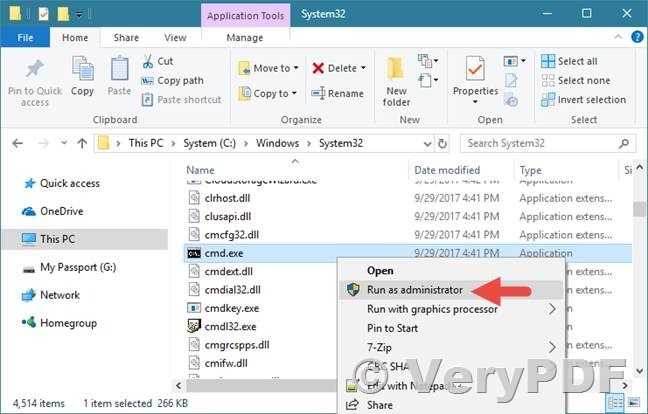 You can also open Command Prompt using the address bar from File Explorer (in Windows 10 and Windows 8.1) or Windows Explorer (in Windows 7). All you have to do is type cmd in the address bar and press Enter. 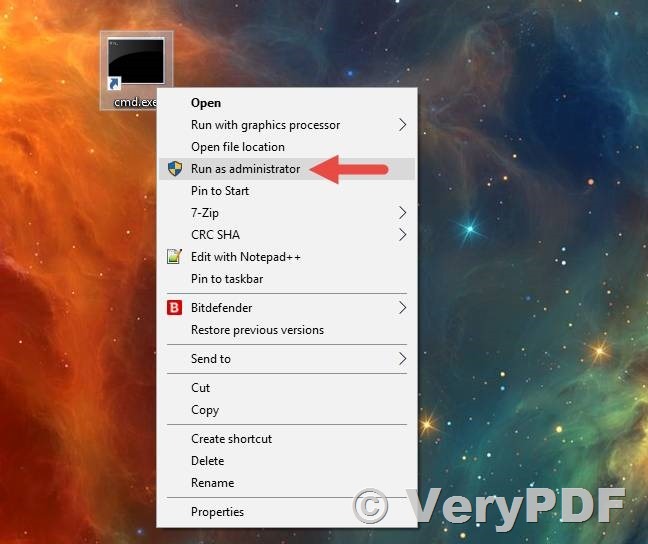 Then, a Command Prompt instance opens immediately, using the path of the folder you were in. 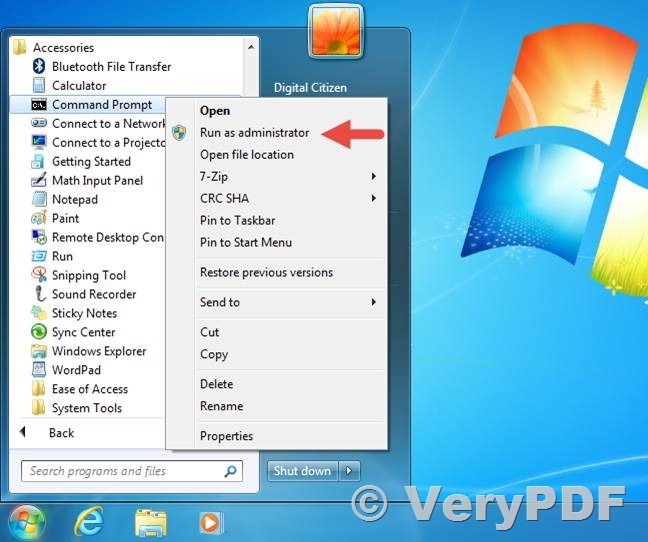 Unfortunately, you cannot open a Command Prompt as an administrator using this method. 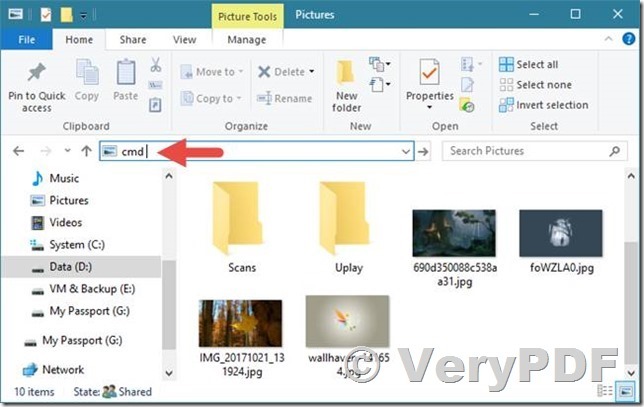 You can also open File Explorer (in Windows 10 and Windows 8.1) or Windows Explorer (in Windows 7). 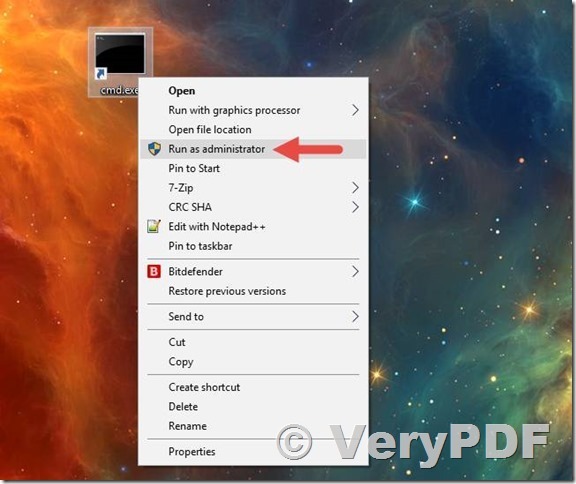 Go to the partition where Windows is installed, open the Windows folder and then System32. 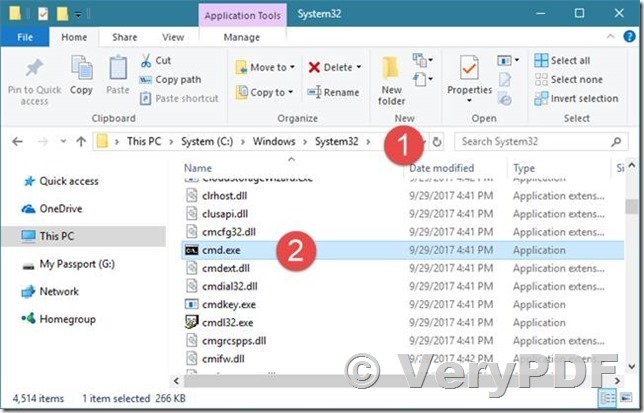 There you will find cmd.exe - the executable file used by Command Prompt. Also, the easiest way to open it as an administrator is to right-click (or tap and hold it, if you have a touchscreen) and then click/tap on the “Run as administrator” option from the contextual menu. A somewhat cumbersome but workable method to launch Command Prompt in Windows is to use one of Microsoft’s web browsers to do it: Microsoft Edge or Internet Explorer. Use any of them to enter this command in the address bar: file://C:/Windows/System32/cmd.exe. Press Enter and then, in the dialog that opens, click or tap on the Run button. 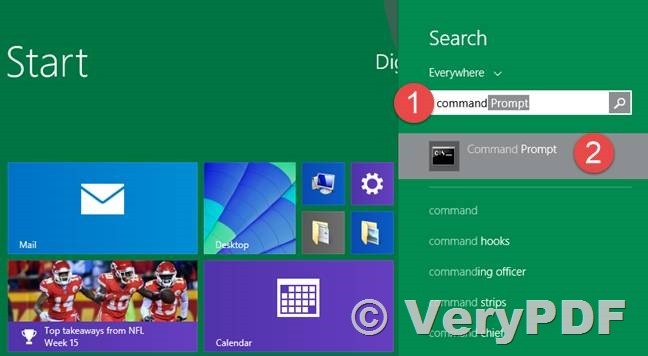 This method only opens Command Prompt windows with standard user rights, not administrative privileges. 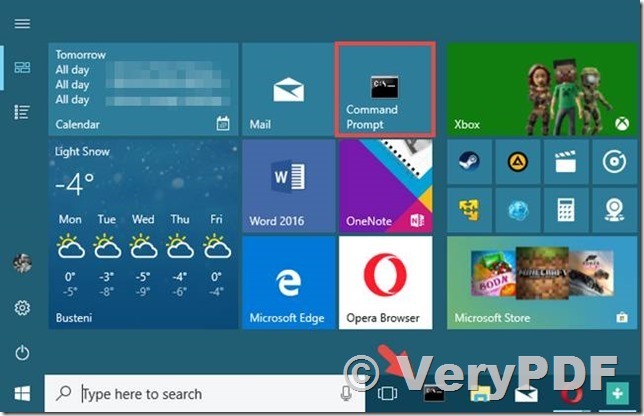 These are all the ways we know for launching Command Prompt in Windows 10, Windows 7, and Windows 8.1. If you know of others, do not hesitate to share them in a comment below. 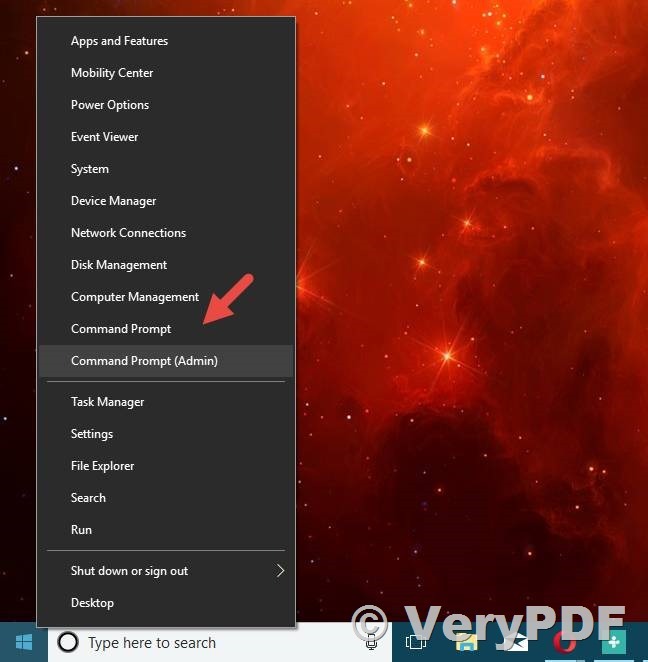 Also, if you are looking for some good articles on how to use the Command Prompt, do not hesitate to read our recommendations below. I am not sure which of your products would be right for our needs. We have a MS Access based application that creates RTF files that need to be converted to PDF so that they can be sent out via E-mail. The RTF files include non-standard fonts (a barcode font "IDAutomationHC39M Free Version.ttf" that I have attached). I have tried your HTMLTools command line converter which works perfectly except for the barcode font. Which of your products would be able to convert these RTF files to PDF by a command line or other non-GUI interface that we could call from the Access program. 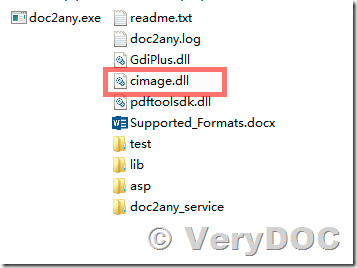 "The application has failed to start because cimage.dll was not found. Re-installing the application may fix this problem." found. This file can not be registered." 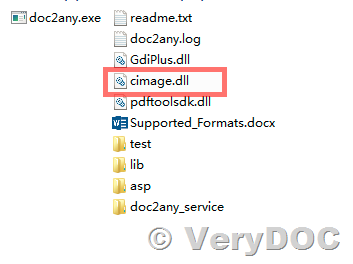 cimage.dll in the "doc2any_cmd" folder also, please look at attached screenshot, can you see it? Well that got me past the cimage.dll problem, but the PDF file says it is corrupt after conversion. 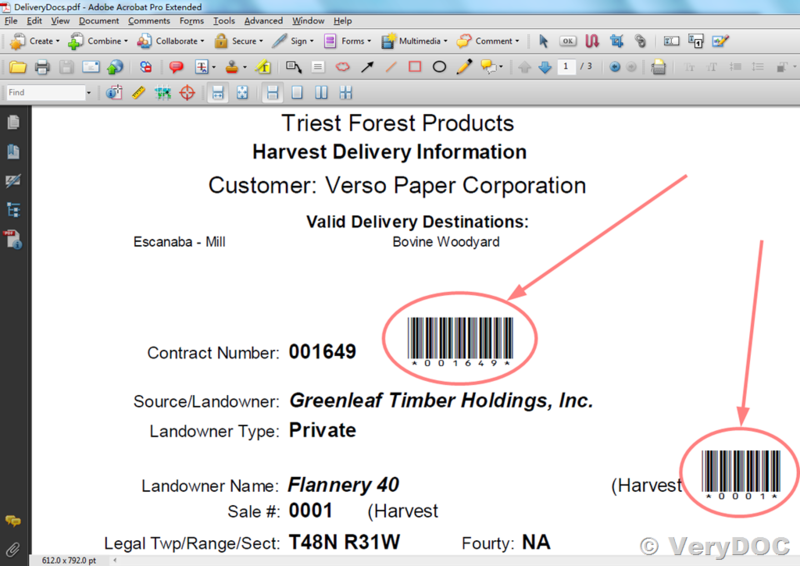 I have attached the file to be converted along with the font that is required for the barcode included in the document. 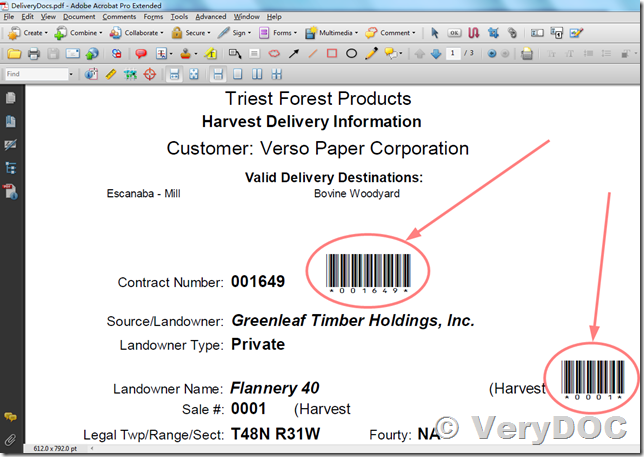 the barcode texts are look fine in this PDF file. I suggest you may run above command line in your system to try again, will you able to get a better PDF file with correct barcodes?